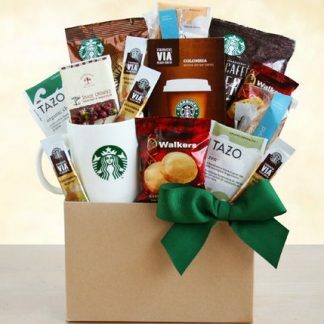 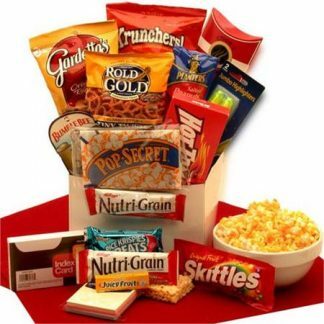 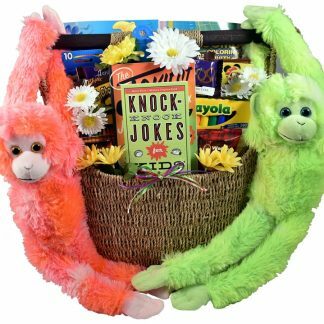 This gift basket just screams “Fun!!”. They will love the two wonderful, whimsical, soft, 22” monkeys who are sure to be their new friends for life! 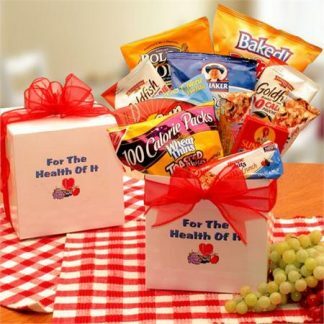 These cheerful plush friends arrive hanging out with a host of delicious treats and fun activities for them to enjoy! 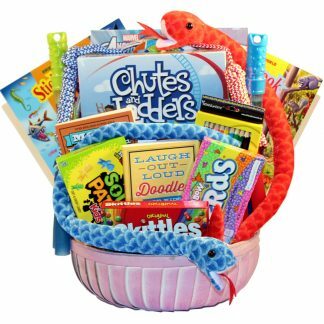 The unique, handcrafted basket itself is quite the gift in this arrangement. 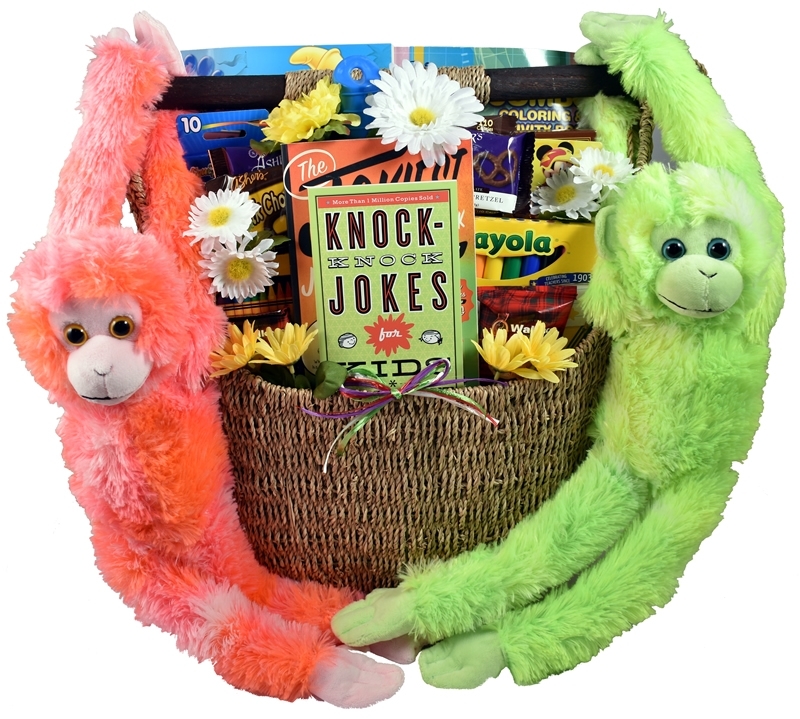 Just imagine their excitement when this colorful, oversized basket of fun arrives at their door!! 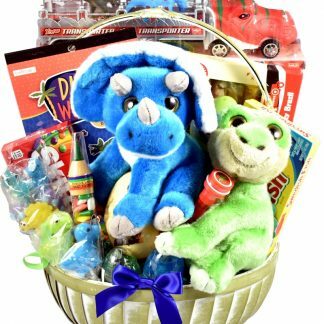 Kids Zone, Activity Basket For Kids Have a Dino-Mite Easter!